Are you trying the South Beach Diet? Do you want to impress your family and friends with easy and healthy recipes? Keep on reading! This book will give you the right answer and new ideas! 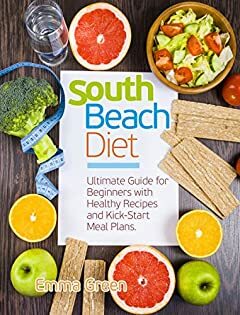 The book â€œSouth Beach Diet: Ultimate Guide for Beginners with Healthy Recipes and Kick-Start Meal Plans.â€ is a selection of proper south beach meals. You will find here diversity of flavors and combinations: chicken and turkey, fish and seafood, beef, fruit and vegetables dishes.